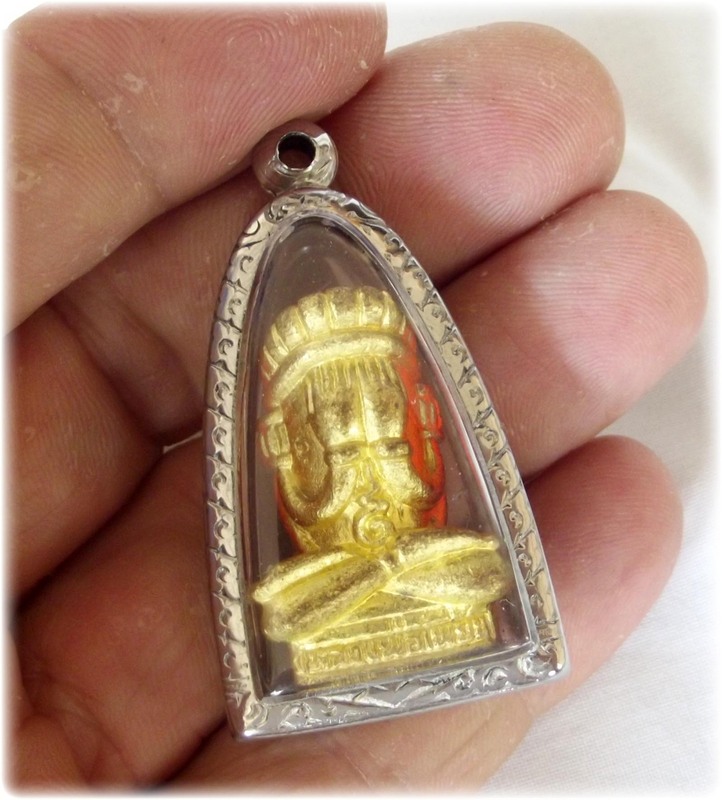 A rare special edition ‘Pra Pid Ta Pang Pagan’ in Srivichai style made from tong rakang (‘temple bell brass’), filled with sacred powders and empowered by Luang Por Pian of Wat Grern Gathin in Lopburi. The special edition was made to help the temple of Wat Ta Khloeng in building the sacred shrine ‘Sala Pra Arahant’ for monks to study and practice Dhamma. 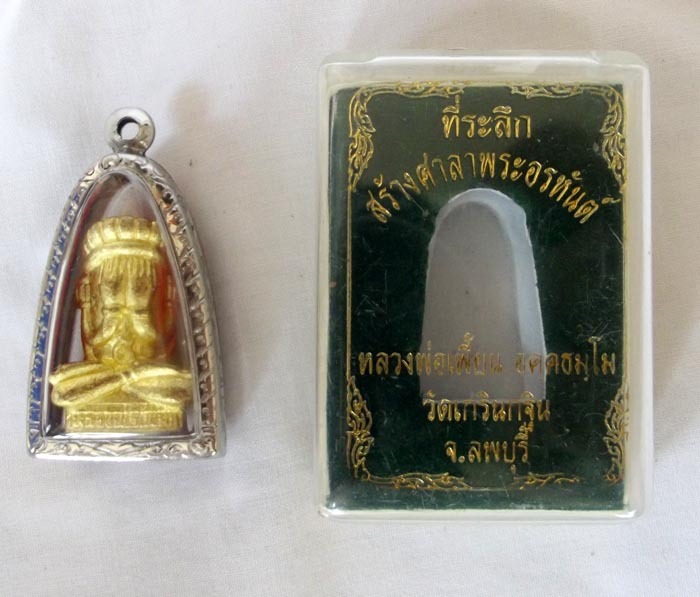 This classic Srivichai (ศรีวิชัย) periodic style loi ongk Pidta amulet comes with free stainless steel casing, but if you rather have the amulet encased in a plastic waterproof casing (additional charge) , then please specify your preference in the encasing options.